Your regular pharmacy is where you turn for your everyday prescription and health care needs. However, if you’re dealing with a more complex medical condition or chronic illness, you may need a higher level of care and support. Some complex conditions, such as cancer, multiple sclerosis, rheumatoid arthritis, Crohn’s disease, HIV/AIDS, hepatitis, psoriasis and anemia are commonly treated with specialty medications. They may treat a chronic or rare condition. They may be expensive. Some cost more than $10,000+ each month. They may only be available through a specialty pharmacy. They may require special storage or handling. They may require special patient monitoring. They may be part of a complicated treatment plan involving multiple medications. They may also require patients to make lifestyle adjustments or manage potential side effects. The specialty pharmacy business is booming because these services are more needed now than ever. Patients who use specialty medications make up only 3 percent to 5 percent of the population, but these medications account for at least 55 percent of total pharmacy costs. Not only that, in recent years, there’s been a trend toward self-administered therapies. In some cases, patients are giving themselves injections and this requires more oversight and preparation than the average prescription. According to the American Pharmacists Association, specialty pharmacies used to focus mostly on medications that needed to be injected or infused, but that has changed in recent years to include a large number of oral medications. All this means that preparing medication for these patients has become an increasingly large and complicated task. In addition to meeting patient needs, specialty pharmacists provide a higher level of service to doctors, insurance companies and other payers. They seek to assure everyone that these expensive and complicated medications are administered and used properly. 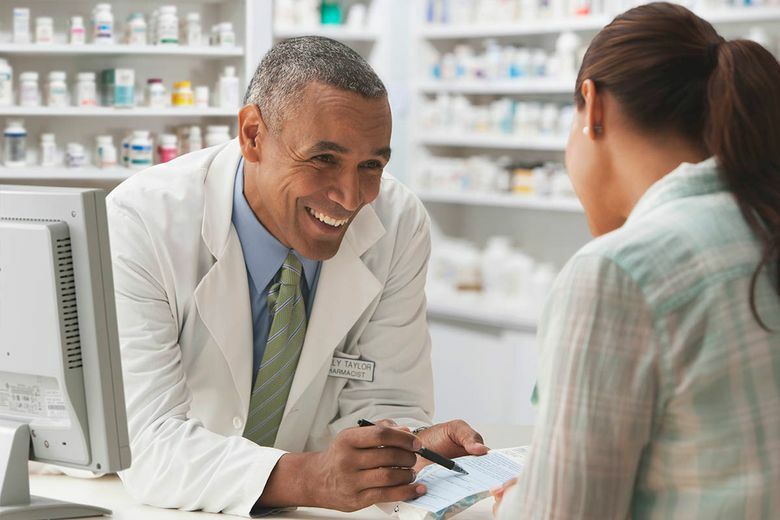 In short, the specialty pharmacists’ mission is to strive to help patients achieve the best health outcomes by getting the right drug to patients in a timely manner, support doctors and patients manage their care, educate payers to understand the value of specialty medications and assist manufacturers with the efficient distribution of their product. Specialty pharmacies can be found affiliated with a retail pharmacy, on-site at medical centers or in a mail-order setting. No matter the setting, an advanced level of care and service should be expected. A quality specialty pharmacy will provide 24-hour access to pharmacists with specialized training in specific disease conditions to provide advice on how to manage your care and how to take the medication appropriately. Pharmacy technicians are trained to help work with your insurance company, secure assistance with paying for the medications, and ensure prescription refills in a timely manner. So, when the day comes when you need more than just a prescription for a common ailment, when you need a higher level of service, remember to look for a pharmacy with the word “special” right there in the name. Bartell Drugs has been the region’s pharmacy for more than 127 years. With specialized care, personalized service and expertise on a range of medications, we’ll help you begin your drug therapy quickly, with support every step of the way.